Google has already made some tough moves to tackle fragmentation, but it's clearly still wary of the problem. 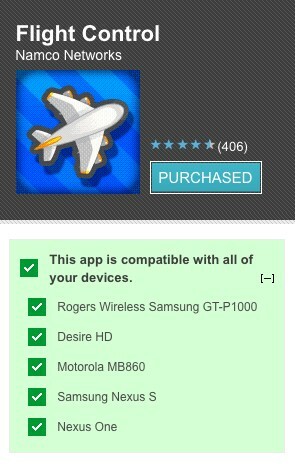 It's just tweaked the Android Market web store to show users which apps are compatible with which of their gadgets. Of course, compatibility screening was already in place for users who accessed the Market from within their device, but this update should still be of use to those who surf the web store, especially if they're rocking multiple handsets or a phone-plus-tablet combo.